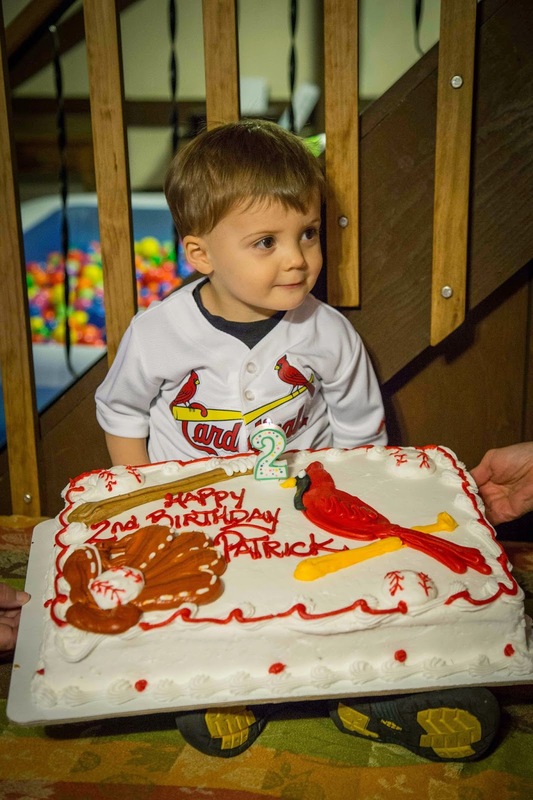 This year Patrick's actual birthday happened to fall on a Saturday, so we were able to have his birthday party on his actual birthday! Yay! 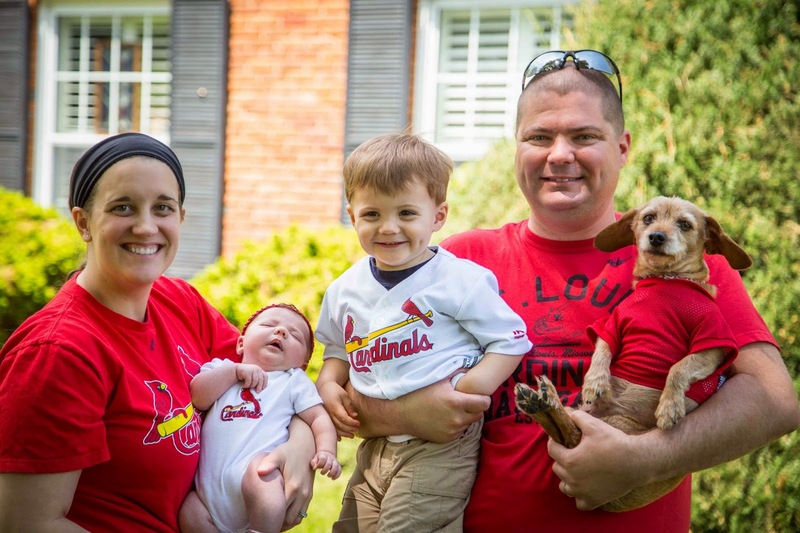 We went all out last year for his first birthday, and this year we wanted to keep it simple with just a few friends and family over for a Cardinals-themed party. 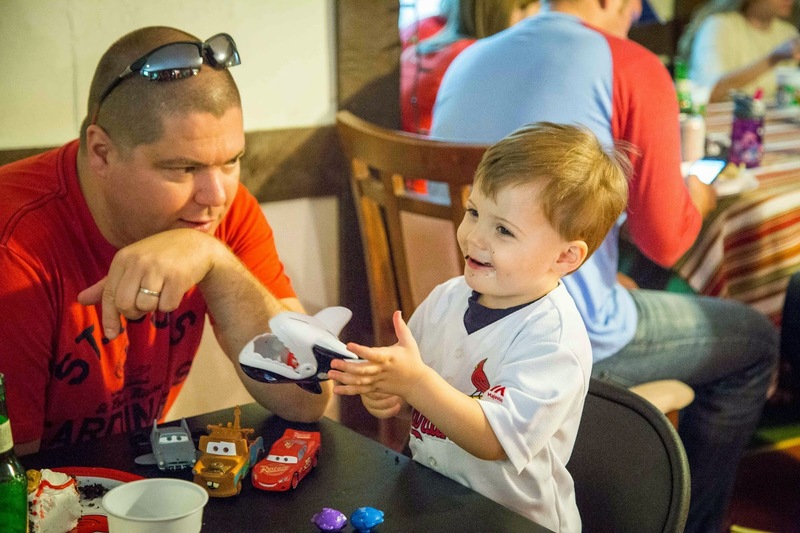 Mike was able to switch his day off from Monday to today, so he was able to be home for the party and not have to dart off to work at 2:30 (happy mama here). 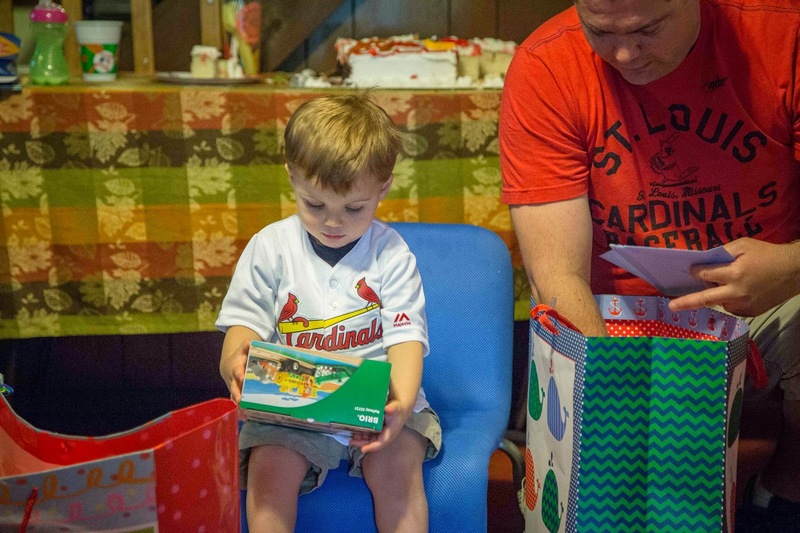 I was so glad he was going to be home for Patrick's entire birthday--party and evening included--so we could do family stuff all day long (well, after siesta time/blogging time for me). This morning I woke up at 8am (party started at 11am) and everyone else, Rosie included, was still snoozing. 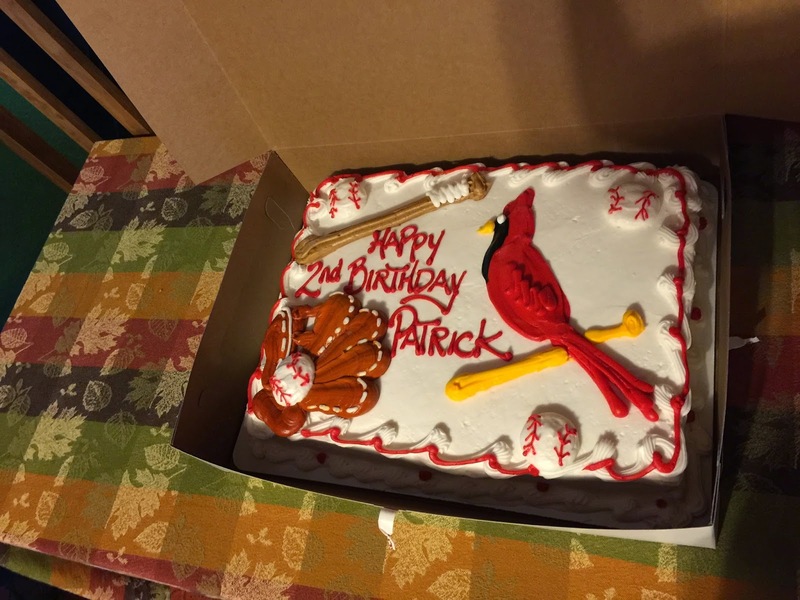 I took advantage to get a few things done around the house, then dart out to the bakery to pick up donuts for the birthday boy's breakfast and his Cardinals cake. I got home about 8:45am and still everyone was sleeping! Of course! At 9am I woke Mike up and had him start getting the food and stuff ready since it was going to take a bit to cook. I fed Rosie, and then we heard Patrick start stirring. 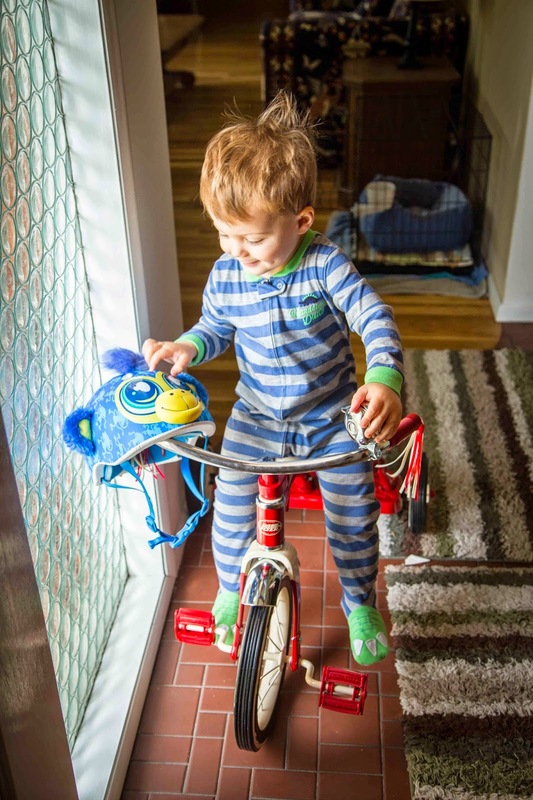 We had gotten him a new art easel and tricycle and I couldn't wait for him to see it when he got up. As soon as we got him up (and kept telling him, "it's your second birthday buddy!! 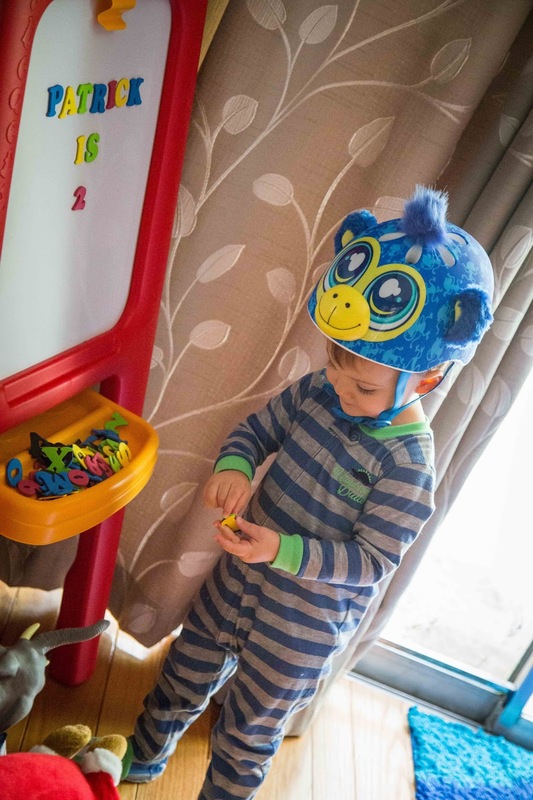 "), he raced into the family room and immediately noticed his new prized possessions. He literally ran back and forth between the two because he couldn't decide which one he wanted to play with more. After forcing him to sit and eat breakfast (can you believe he'd rather have played with his new toys than eaten?! 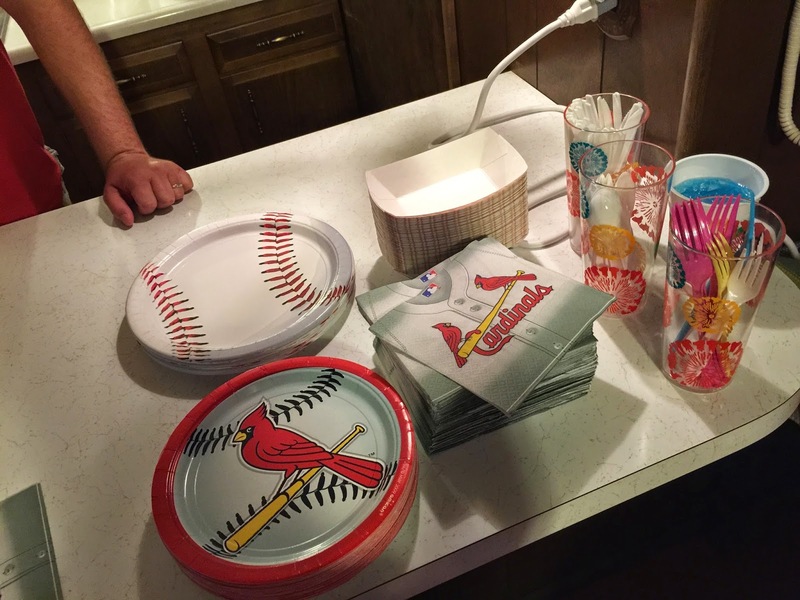 #shocker) Mike and I were able to finish up the last few things for his party and then we were all able to get ready in our Cardinals attire. 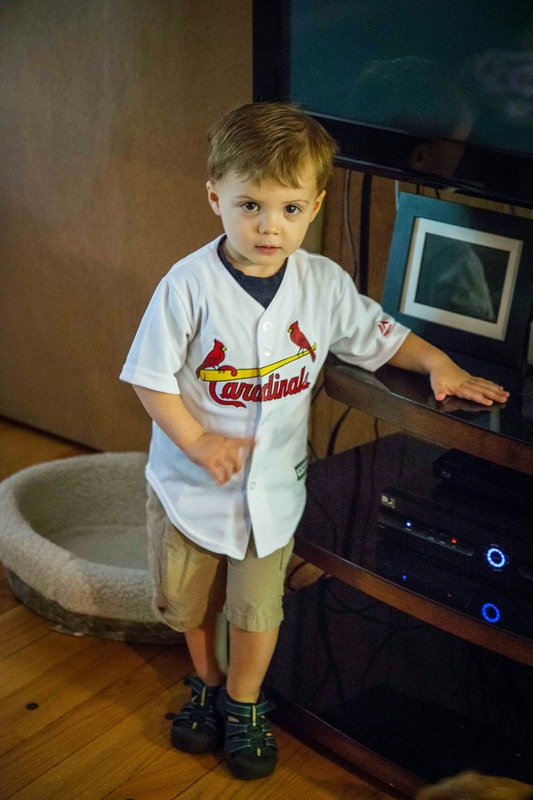 Patrick clearly was game-faced in his new Cardinals jersey from his aunt Kate. The guests started to arrive right at 11am and Patrick was going bananas. He was running back and forth between the kitchen and doorway and downstairs and upstairs. 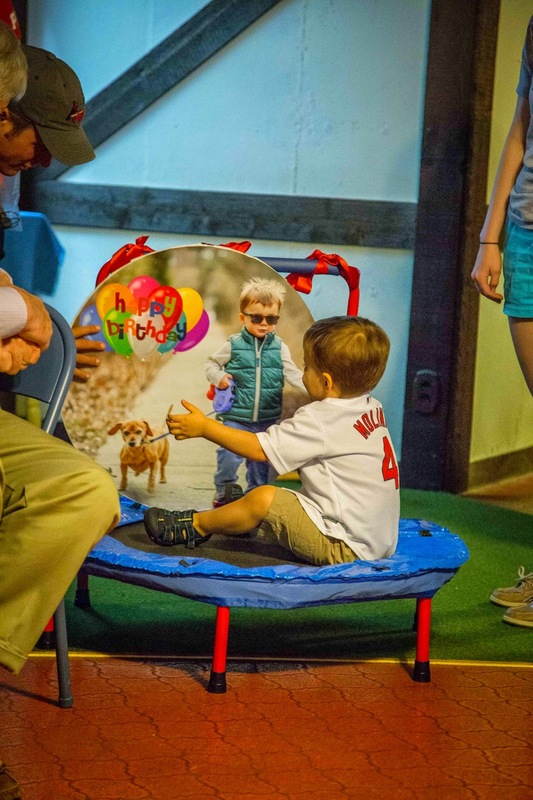 I'm not sure if he knew what his birthday really meant, but he was sure excited all of his friends and family were over to party with him. 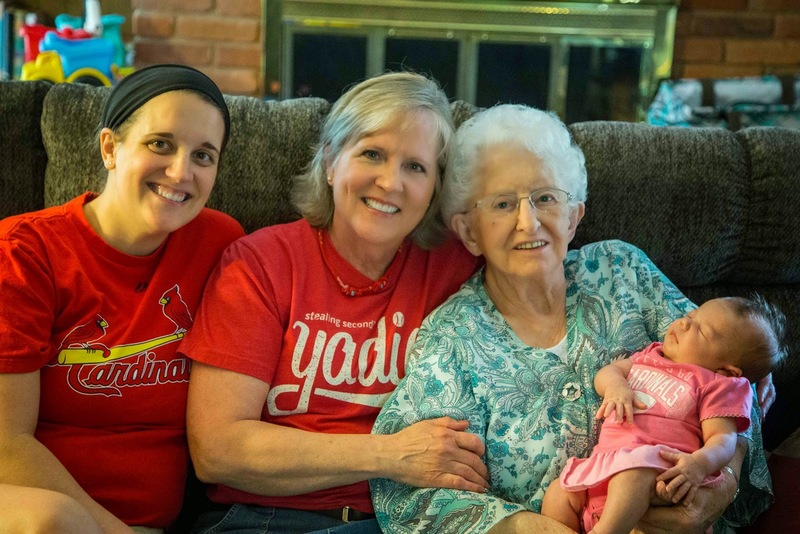 My grandma "Great" came over for his party and we seized the opportunity to snap a 4 generations of ladies picture with my mom and Rosie. How adorable are we?! 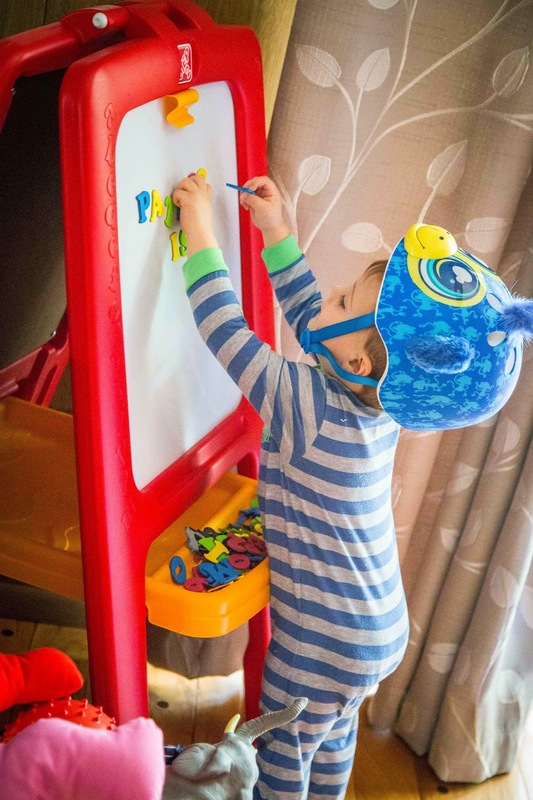 Patrick literally spend ALL morning of his party running back and forth in the basement between his ballpit and food table. He was having a blast, and loved having all of these people over and shoveling food in his mouth when he waltzed over with it gaping open. I shockingly didn't take any pics of Patrick and his buddies playing in the basement. I know, I KNOW. I'm sorry! 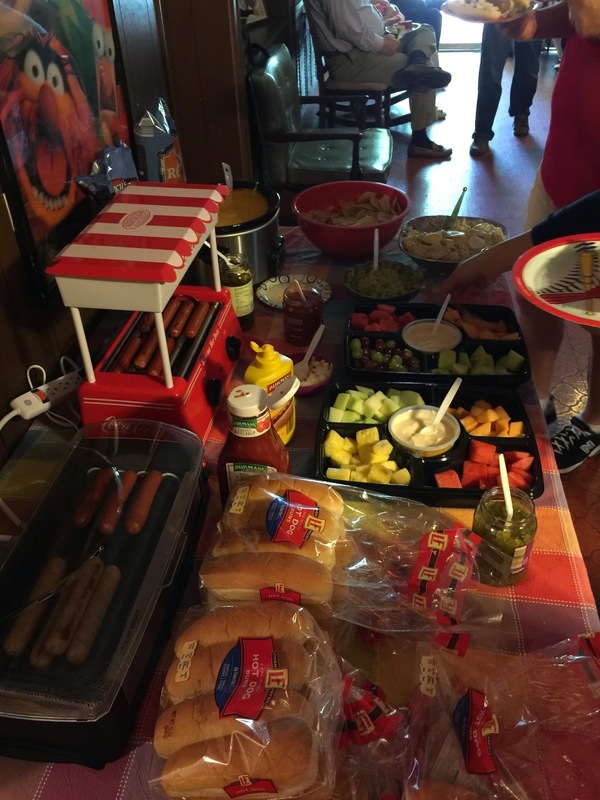 I was busy running around as well making sure everyone had stuff to eat and drink AND eating and drinking myself. Mama was hungry. It was then time for cake! I had ordered this cake a few weeks ago from the local bakery by our house and I love the way it turned out. Mike joked that the glove looked like a turkey without a beak. Yup. Sure does. 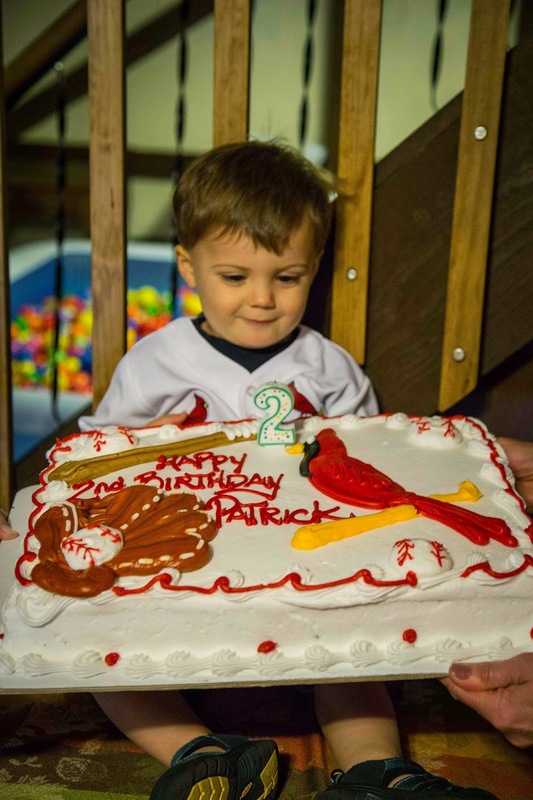 Either way, I loved it and knew Patrick would love it with his favorite baseball team all over it! 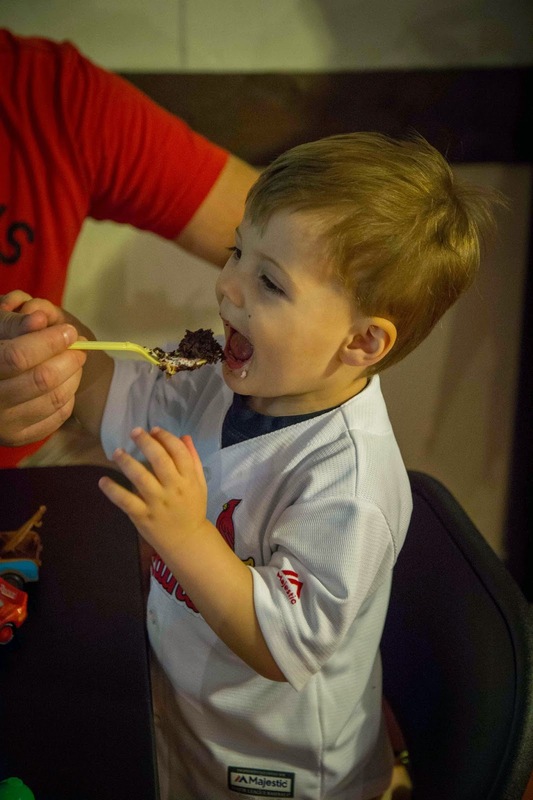 We then all sang to the little ham, who got to sit on the table with the cake held right in front of him (hashtag: spoiled) and watch him be fascinated with the burning candle and then tasting the icing before we cut into the cake. 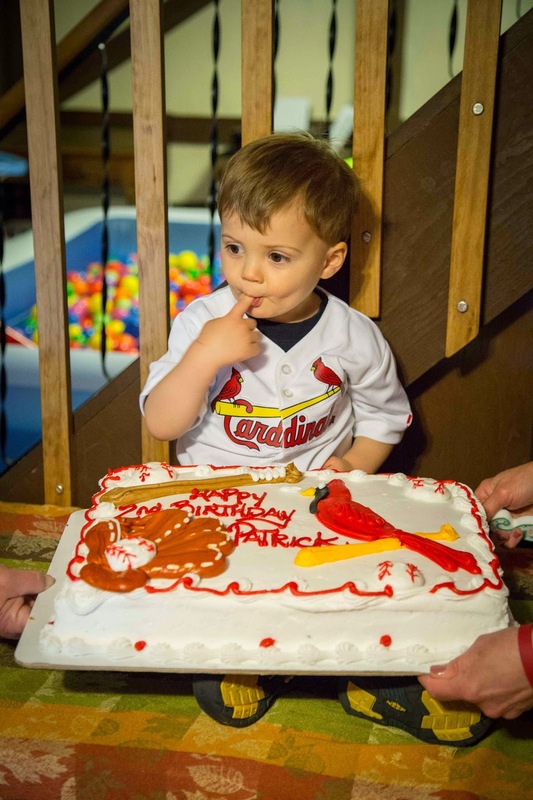 Patrick thoroughly enjoyed devouring an entire slice of chocolate cake before it was time to tear into his presents. I felt like I was rushing him to open his prezzies, but Rosie was getting hungry (or hangry) and I didn't want to make everyone wait 20 minutes for me to feed her nor did I want to try and feed her while snapping pics and writing down who gave him what. So! 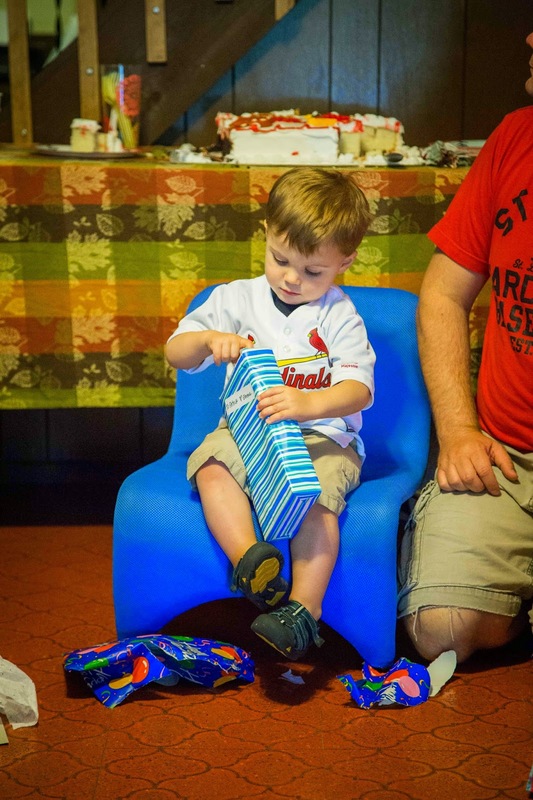 Present opening happened right after cake. 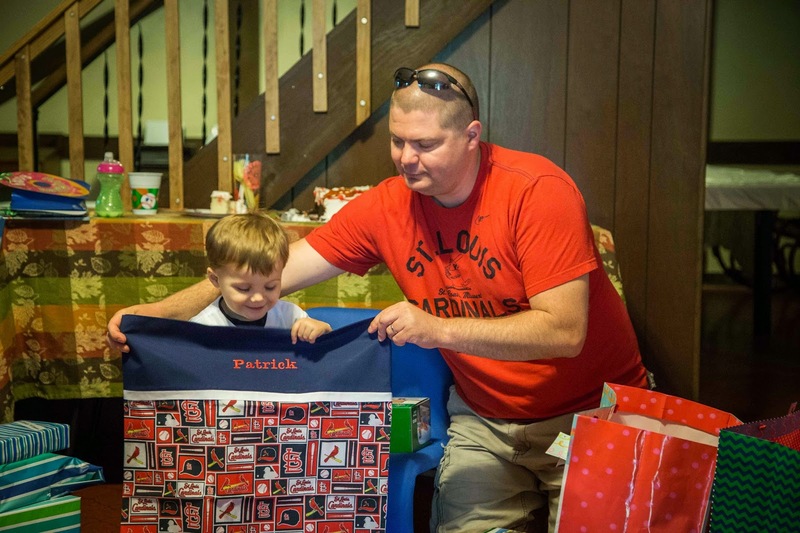 Patrick didn't complain: he was on a sensory overload with all his new gifts. Patrick did an awesome job (much better than last year!) tearing into his presents. However, after each one we had to hide it because he got distracted and just wanted to play with it! Haha! He totally was spoiled by his friends and family (again! You guys are too good to him!!) 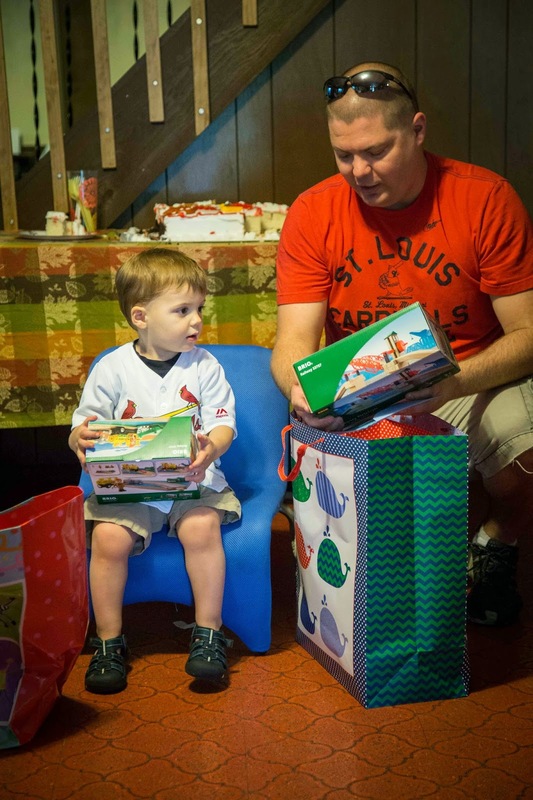 --he got several new Brio trains and tracks, a conductor hat and whistle, toy cars and trucks, oodles of books, a water table, a picnic table, a minion toy, a Cardinals pillow case with his name on it, a remote controlled car, and a mini trampoline! I don't think I know which he liked best--he wanted to play with all of them! Although, he really loved his trampoline. This video of him bouncing on it kills me! He's so determined! And so darn cute. After presents I bailed for about 30 minutes to tend to the hangry little girl. 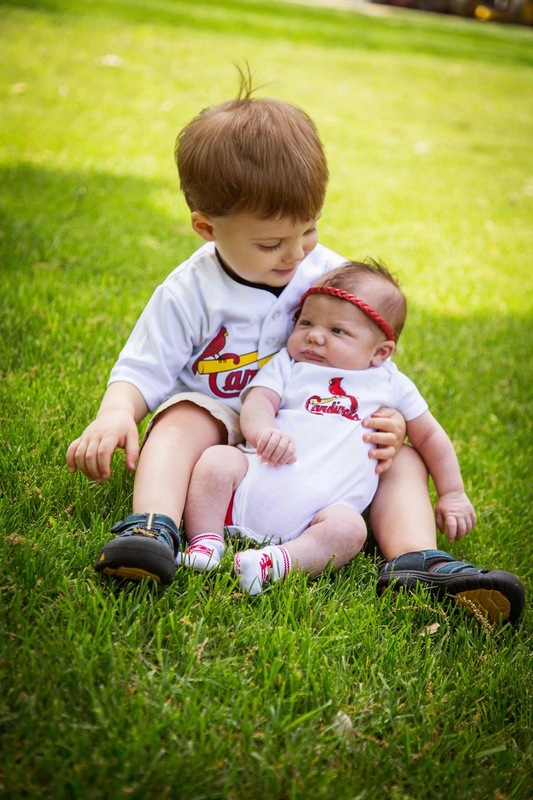 Once she was all full and dry and changed, we decided to snap a few family pics outside since it was absolutely gorgeous out AND we were all in cute coordinating Cardinals outfits. Win win. This might be my new favorite picture. That's my whole world, and I love it! Especially Scooter's ears. and Patrick's smile. And Rosie's open mouth! LOVE LOVE LOVE. I then asked Patrick to sit on the ground and wanted to know if he wanted to hold Rosie. YES. He did! Awesome! 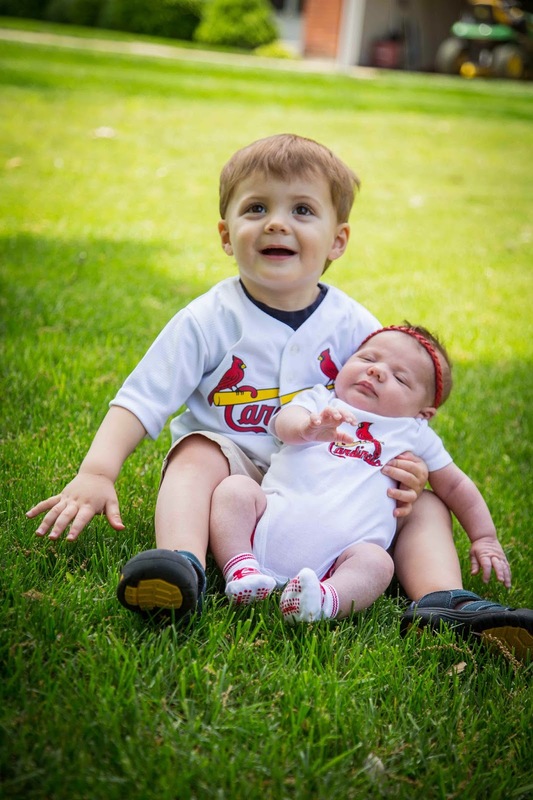 So our little 2 year old got to hold his 3 week old baby sister and ohh-emm-gee. My heart exploded. Then melted. Then exploded again. 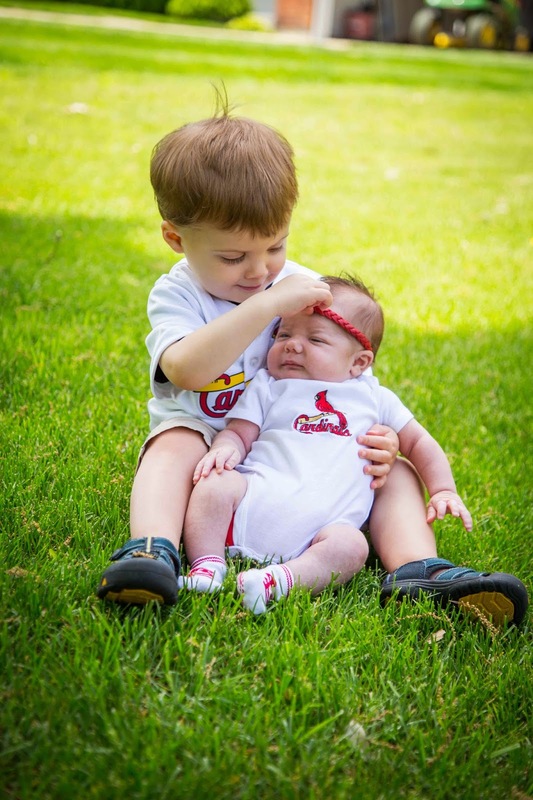 How sweet are these pics?! He's gazing at her...then fixing her headband, then smiling. I dieeeeeeee. After our little impromptu photo shoot, we headed inside to clean up, thank our guests, and all take siestas. Well, everyone but me. I blogged this post, cause, priorities. I can sleep when I'm dead, right?! Right. 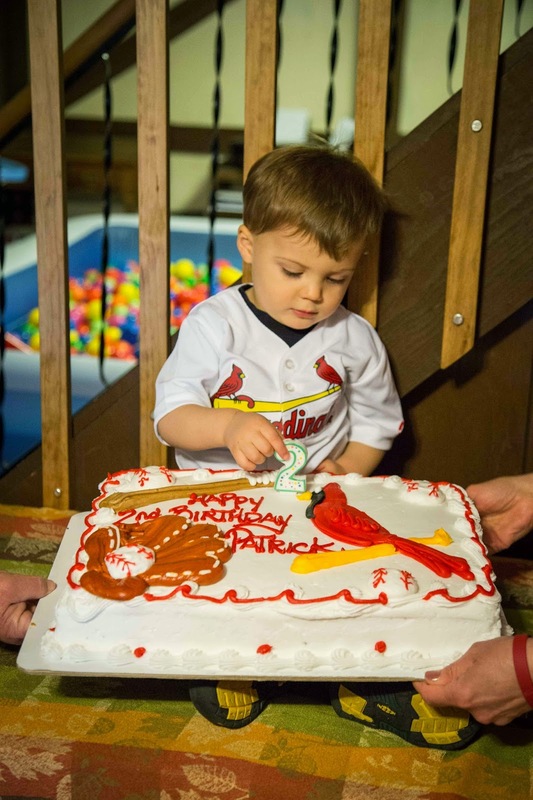 Anyways, Patrick had a fantastic 2nd birthday party, and we loved seeing all of our friends and family come over for it! 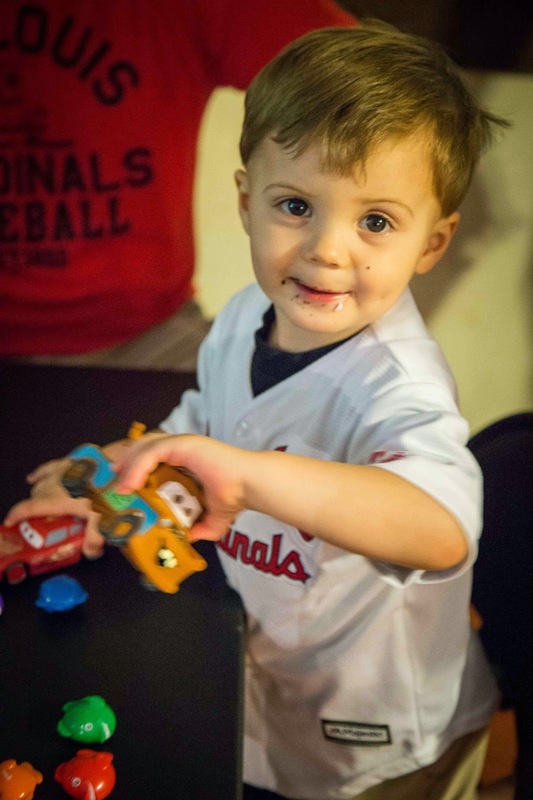 I'm sure a year from now I'll be blogging about his 3rd birthday and saying how fast this year went--and I'll be right. 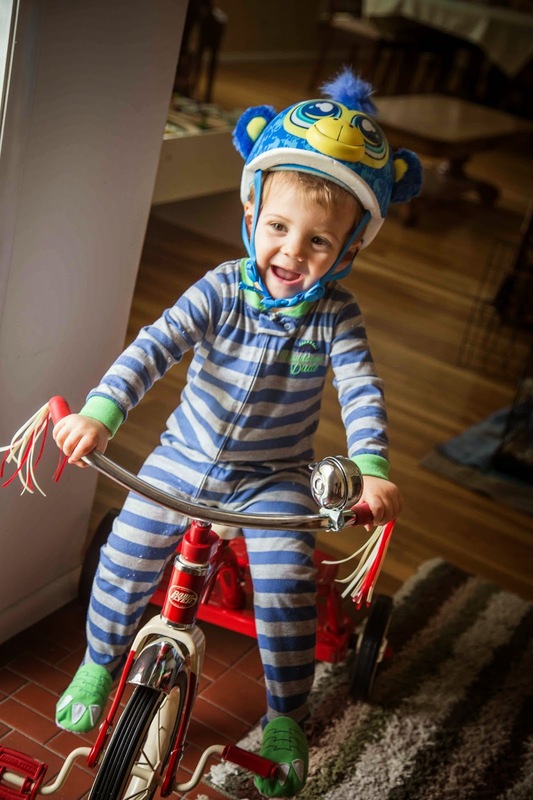 Because I swear, I blinked and all of a sudden my little baby is a chatty, happy, big personality two year old. Ahhh, time, slow down! But since it won't, I blog these posts in hopes that I can always remember these times that seem to fly by way too fast. 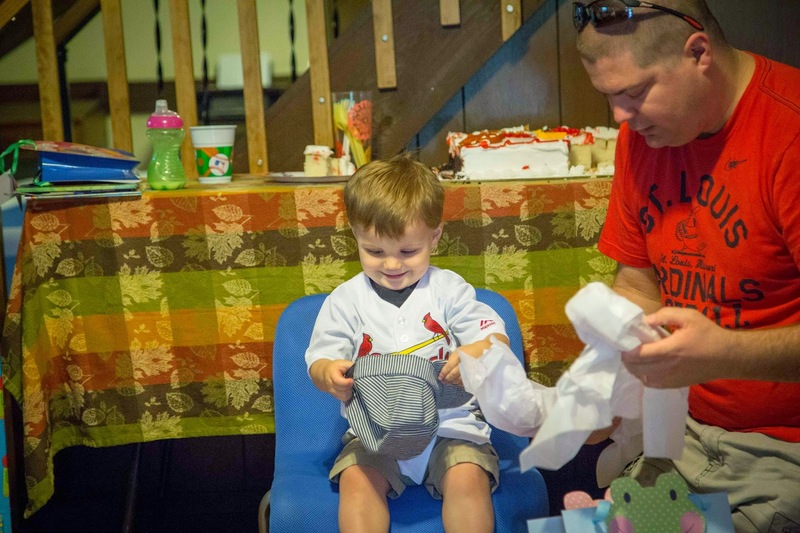 Amazing 2nd birthday bash! 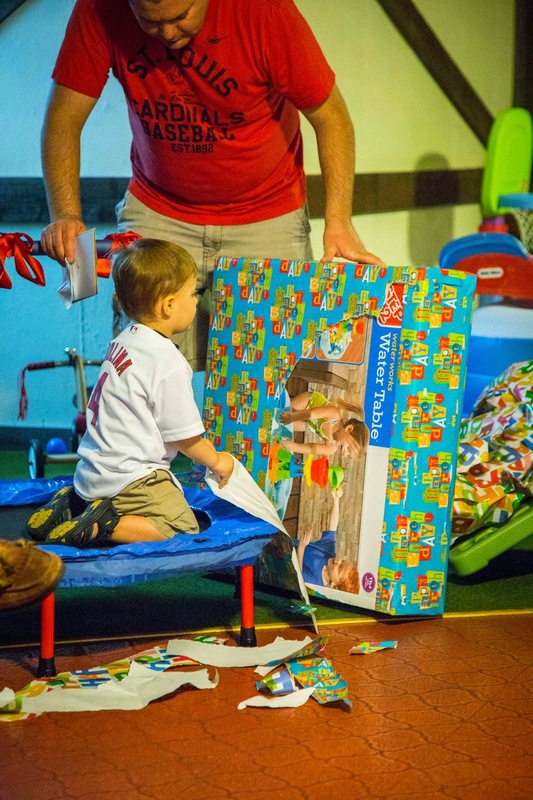 I have loved seeing kid’s birthday party décor ideas around the web the past week. Actually I need some theme ideas for my son’s outdoor birthday party. He wants to celebrate his birthday at one of the domestic party venues in Houston.